When you drive tired, you exhibit some similar traits of a drunk driver — a new study from the British driver safety charity, Brake, reveals that men are major offenders of this dangerous habit. While this study isn’t on American drivers, it’s almost certainly reflective of a similar situation in this country. What the results of the Brake Study found is that out of 1,000 drivers, 45% of men confessed to taking micro-naps behind the wheel. 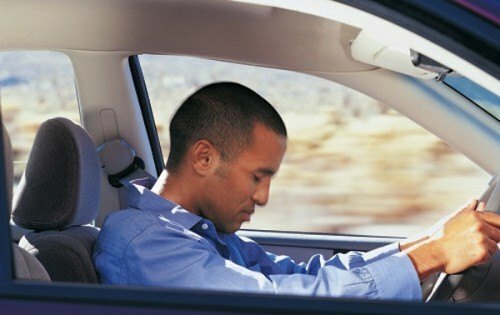 These short naps last up to thirty seconds while operating a vehicle. Only 22% of women admit to taking a micro-nap while driving. What’s even more startling is that 14% of men admit to taking extended naps while driving — something only 2% of women had done. The numbers behind falling asleep while driving are eye opening — 1 of every 6 fatal auto accidents are caused as a result of tiredness. What usually happens is the driver veers off the road, drifts into another lane, or fails to hit the brakes in time to prevent an impact. An explanation as to why men fall asleep behind the wheel at a higher rate is that men are more likely to take risks while driving. They are less concerned with traveling when they haven’t had enough rest. These risks contribute to the fact that 80% of wrecks in the United States are caused by men. The reason men are more likely to take risks could be both biological and cultural. Male drivers likely feel more pressure to take control in the driver’s seat — they’re also more likely to push through long trips instead of stopping for rest. Just like with other dangerous driving behaviors, taking on this problem isn’t going to be easy. Just like with distracted driving, self-driving cars could cut down on accidents related to this activity. That’s not an immediate solution though — self driving cars are still a few decades out, experts don’t think we’ll see them on the roads anytime soon.